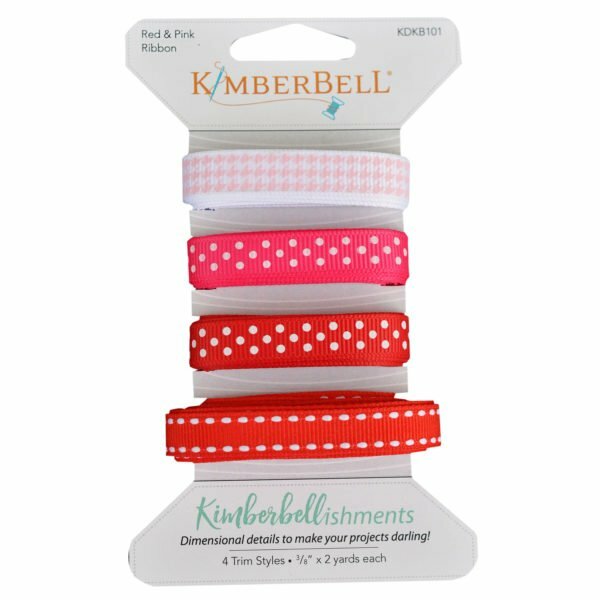 Use Kimberbell designer trims with your favorite Kimberbell projects! The ?Red & Pink? 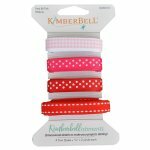 ribbon card contains 4 Trim Styles: 3/8″ x 2 yards each. Enjoy Kimberbellishments?dimensional details to make your projects darling!